Providing the North Atlanta area with professional, fast and eco-friendly junk removal services. “Simple” is what Junk King is all about. The most time-consuming aspect of your junk removal session will be you sorting through all the stuff you want to get rid of. Once the team from Junk King arrives, they spring into action and will load up all your unwanted clutter in no time at all. You’ll be wondering why you waited so long to call them! A large part of Junk King’s business comes from repeat customers. That is a testament to their proven track record of success with all kinds of junk removal. Junk King Atlanta typically takes care of junk removal tasks within 24 hours. But you could get the same day appointment if you call the right time. Bottom line: when you’re ready to get rid of your junk, Junk King Atlanta will be ready for you. 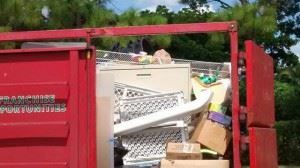 This entry was posted in Atlanta Junk Removal and tagged junk, Junk King, reviews on October 1, 2017 by Junk King. Last updated October 1, 2017 .